ARE YOU AN EXPLORER ? Are you already registered ? The story of a long-dreamt trip, which was finally taken in late 2012 after a year’s preparation. A Vespa, Mario and Sandra, and South America. 21 thousand kilometers covered. Mario ships out his Vespa by container from Genoa, destination San Antonio, Chile. From there, with his girlfriend Sandra, he will embark upon the adventure narrated in this book. 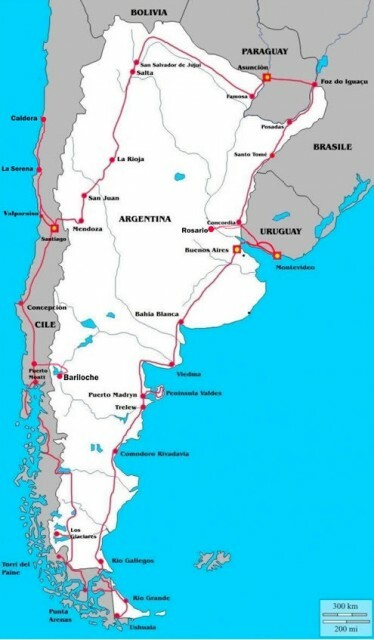 From October 2012 to March 2013, the couple will travel almost 21,000 kilometers alone, on roads sometimes quite a challenge for the small wheels of the Vespa, through Chile, Argentina, Paraguay, Brazil (for a short stretch), and Uruguay. 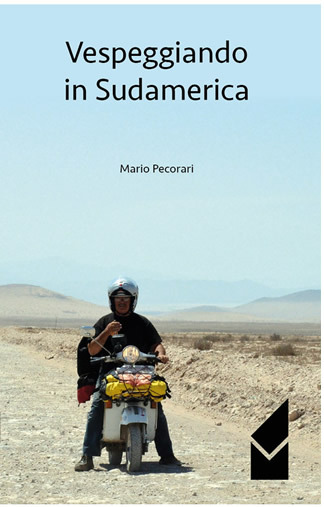 The story is told in 17 chapters, each of which is devoted to a stretch of the trip, the scenarios and localities encountered, and the people met, including many members of local Vespa clubs who, informed by word of mouth, awaited Mario and Sandra along the way. Mario decided to write this story in part to leave an account of his trip, but also because he wanted to transmit to younger fans the desire to take off and test themselves with new situations. The “atmosphere” of “Vespeggiando in Sudamerica” is transmitted very well right from its preface, which we invite you to read. It can happen that a dream becomes a life companion capable of providing us with a refuge for both difficult and happy moments. It appears without any apparent reason, while you’re taking a walk or watching TV, and just as easily it vanishes. As time goes by, you get used to its presence, even if you often close it away in a drawer for a long time. Then, one day, something happens: some sort of mechanism sets into motion, and you feel a strong desire to make it become reality. And so begins our trip. My companion Sandra, our Vespa, me, and a multitude of ideas, most of which discarded as we went along, all at about one year from our departure. Such a long time was necessary because of our doubts about the things that had to be done and, even more so, in order to be able to organize our lives, full of small commitments that it is not always easy or possible for you to give up. The first important step was that of deciding the duration and, after passing this first hurdle, determining the best period for our start. The vast size of the territories to be covered and their geographic diversity made us realize that there is no optimum period, and that it is more proper to speak of a period that may pose fewer problems. After consulting various weather sites, we concluded that it was between the months of November and February that the possibility of encountering more favorable weather conditions was greatest. From that moment on, we divided our tasks between us: Sandra would do the searches for possible sponsors and keep in touch with Vespa clubs and shippers, and I would take care of preparing the Vespa for the trip and its shipment. When Mario contacted us to tell us about the trip he was organizing, we immediately decided to give him our support. We did so with a supply of products, chosen on the basis of the needs he expressed. In substance, “traveling” with him were a pair of WP405 waterproof side bags, a XS310B cargo bag, two X.09 Modular helmets, and an E470 top case. Mario Pecorari, born in Gorizia in 1953, has always lived in Trieste. A technical employee first with Grandi Motori Trieste, and then with Fincantieri, he has been a sportsman and practiced speleology. Photography and traveling have always been his greatest passions. Mario has traveled throughout Europe, the Middle East, and Southeast Asia, using a wide variety of vehicles. After meeting Sandra, another lover of two-wheelers, trips by Vespa became his favorites, so much so that he has traveled more than 200,000 kilometers with it, from the Balkans to Crimea, to the Sea of Azov, Vietnam, and South America. 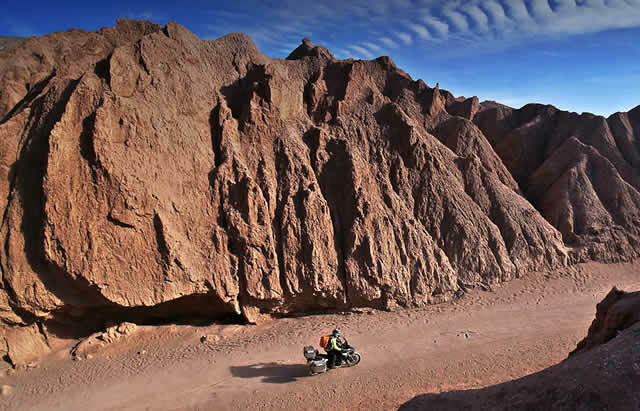 Motorbike transport: better by air or sea?